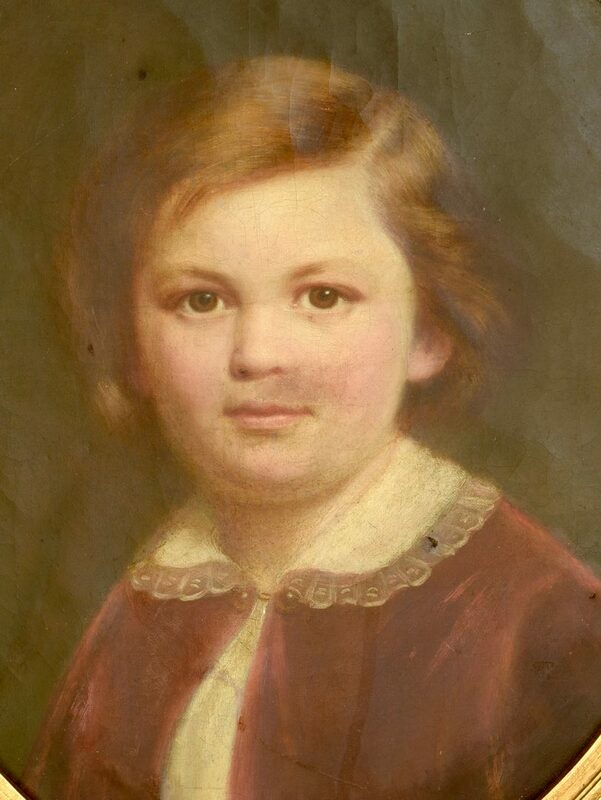 George Dury (Tennessee, 1817-1894) oval portrait of the artist's son, Heinrich (Henry) Dury, at about age 7, brown hair and brown eyes, wearing a red velvet coat with white shirt and lace collar. Unsigned, Circa 1860. 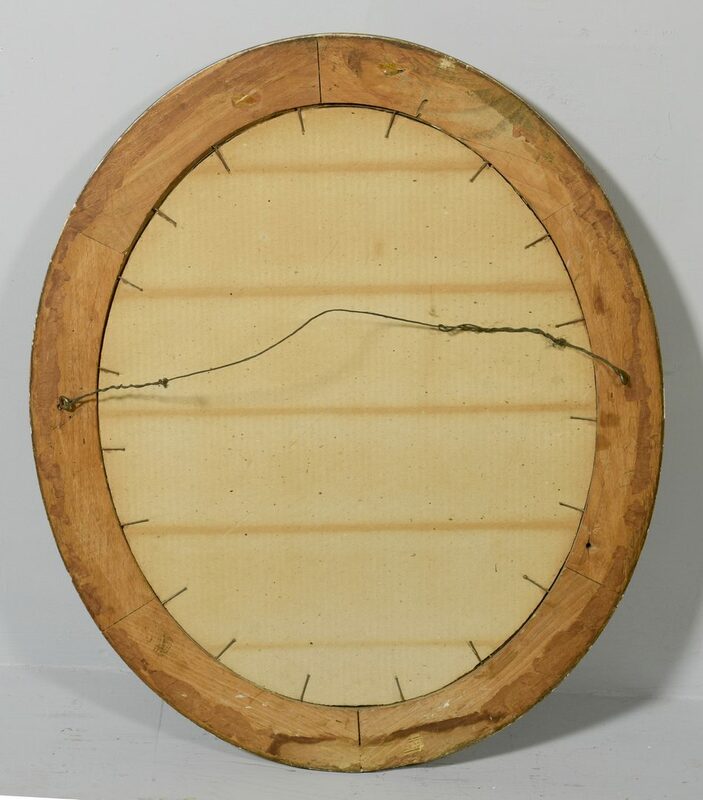 Housed in oval giltwood frame. Sight -19 1/2" H x 15 1/2" W. Framed – 20" H x 24" W. Note: a very similar, but larger portrait is in the collection at Cheekwood Museum of Art in Nashville. 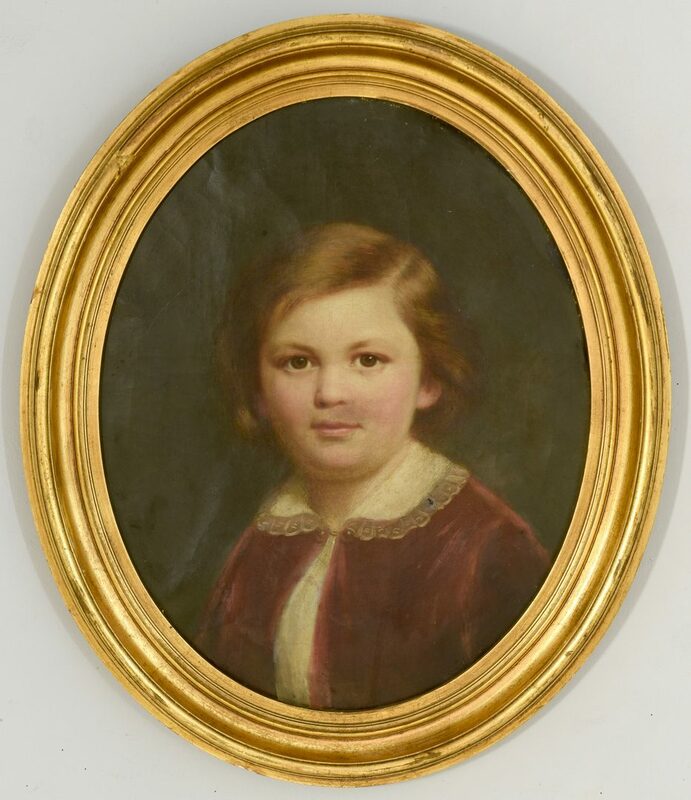 Dury was known to have painted his children's portraits, and likely painted two images of Henry, displaying one as an advertisement. 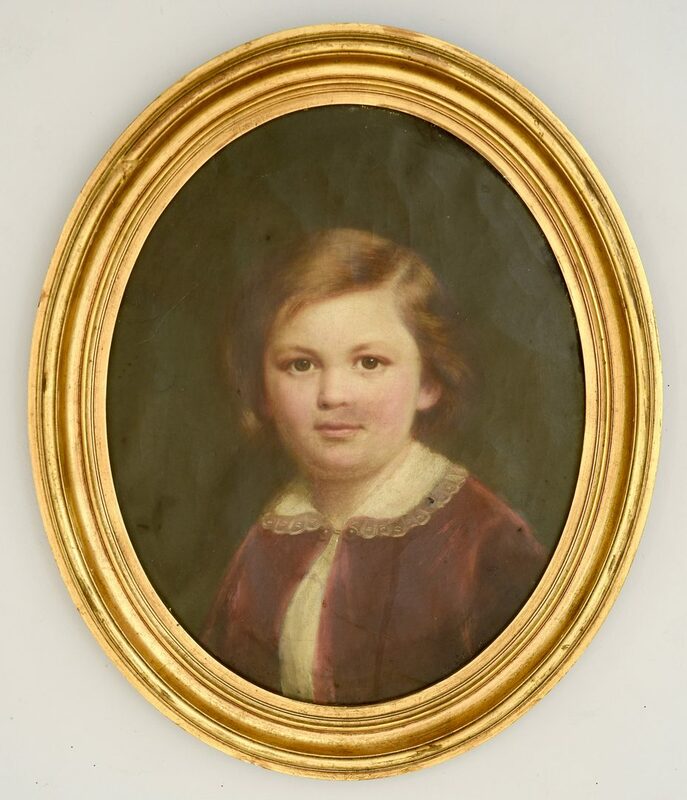 Provenance: descended in the family of the artist and subject to present consignor. A file of photocopied family information accompanies this lot, including copies of transcriptions of entries from the journal of George Dury's wife (Henry's mother) extending from the couple's arrival in America to the births of their children, the death of Heinrich in 1891, and death of George Dury in 1893, and copies of a detailed 1950s biographical article about the artist. CONDITION: Likely cut down from a larger canvas, now backed with cardboard. 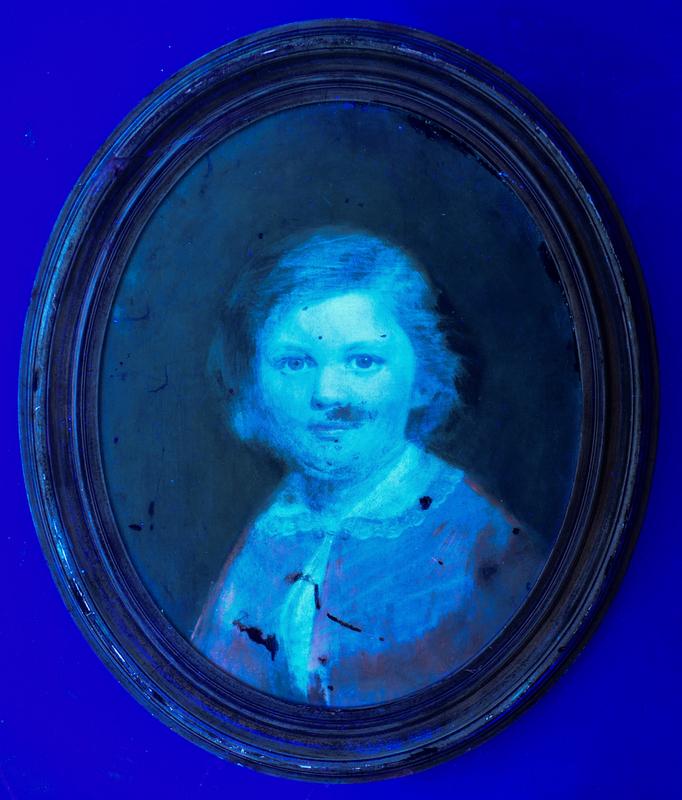 Blacklight shows some restoration above subject's lip. 2 1/2" scratch across subject's chest, with a few smaller scattered scratches (all under 1/2"); 1/4" hole at collar area, 1 1/2" abrasion to lower chest, some scattered overpaint, overall craquelure. Frame has 1/2" area of loss and scattered other small abrasions.